RIPPLE Africa receives many general enquiries each month asking about the conditions of education in Malawi, Africa. To help those wishing to learn more, we have provided a page with information about what education is like in Malawi and, most specifically, in the Nkhata Bay District where RIPPLE Africa is based. 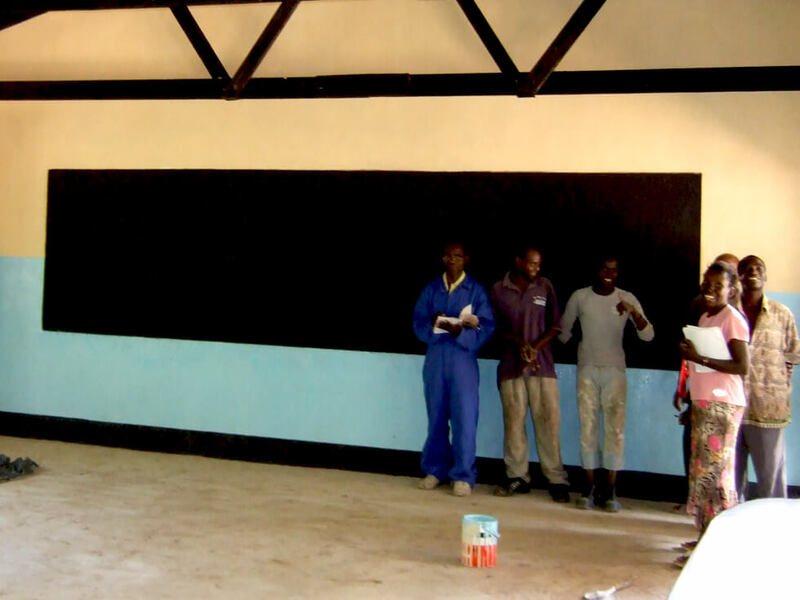 To improve local education in Malawi, RIPPLE Africa supports eight pre-schools, six primary schools, one secondary school, runs Adult Literacy and Children’s Corner and runs a community library in and around the community of Mwaya, in the Nkhata Bay District of Malawi, Africa. According to UNESCO, Malawi has a total of 4.5m pupils enrolled in primary and secondary education. Of these pupils, about 3.7m (83%) are enrolled in primary education. In Malawi, 11% of children of official primary school ages are out of school, with poorer children most likely to fall into this category. Based on educational attainment of 15 – 24 year olds in 2010, 5% received no education at all, 57% failed to complete primary school, 11% studied until the end of primary school, 19% attended secondary school but failed to complete their secondary education, 7% completed secondary education and 1% studied beyond secondary level. Pre-school education provides an important foundation for learning and development. The government of Malawi recognises the importance of pre-school education, and encourages communities to set up their own pre-schools, but does not support pre-schools financially. With no funds to support pre-schools, most of them are run on a voluntary basis and are unregistered. Most teachers work for free, and have no resources to help them teach, lacking the very basics including blackboards and chalk, let alone books and toys which might commonly be associated with pre-school education in the West. It is rare that pre-schools have their own school buildings, and many pre-schools share facilities with local churches or other buildings built for a different purpose. Not all children have access to pre-school education as access is dependent upon location and upon voluntary community involvement. Official data on the number of pre-schools in Malawi is difficult to find because schools are unregistered. 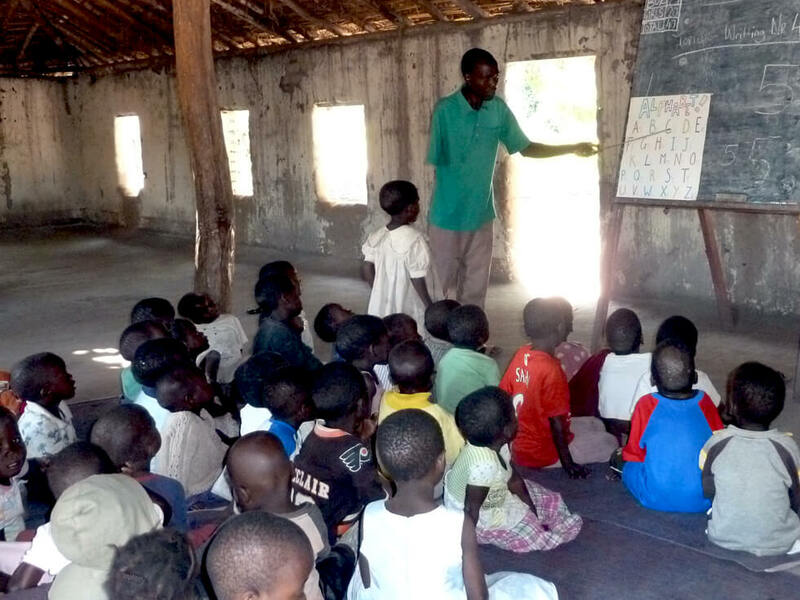 RIPPLE Africa supports eight pre-schools in Malawi by paying teachers’ salaries, building new classroom blocks, and providing learning and teaching materials. To learn more about what RIPPLE Africa is doing to help pre-school education in Malawi, Africa, please read the Pre-school Education page. Primary school education in Malawi is made up of eight years (referred to as Standard 1 to Standard 8.) 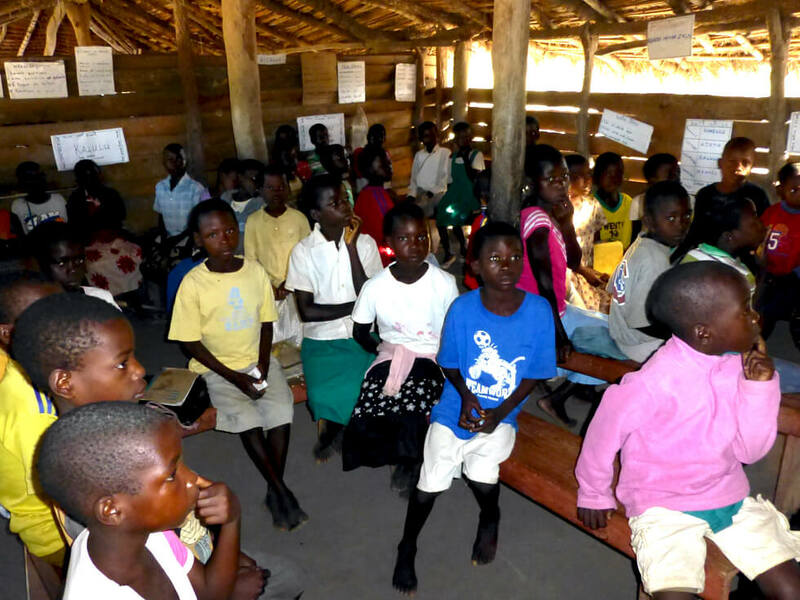 Although the official primary school age group in Malawi is categorised as 6-13, it is very common for students of varying ages to attend primary school, as many students have to repeat some primary years. There are three school terms a year for primary schools in Malawi, running generally from September to December, January to April, and April to July. Primary school students in Malawi learn a variety of subjects, and take examinations in English, ChiChewa, maths, science, and social studies. Students must gain a Primary School Leaving Certificate based on their Standard 8 final exam results in order to progress to secondary school. 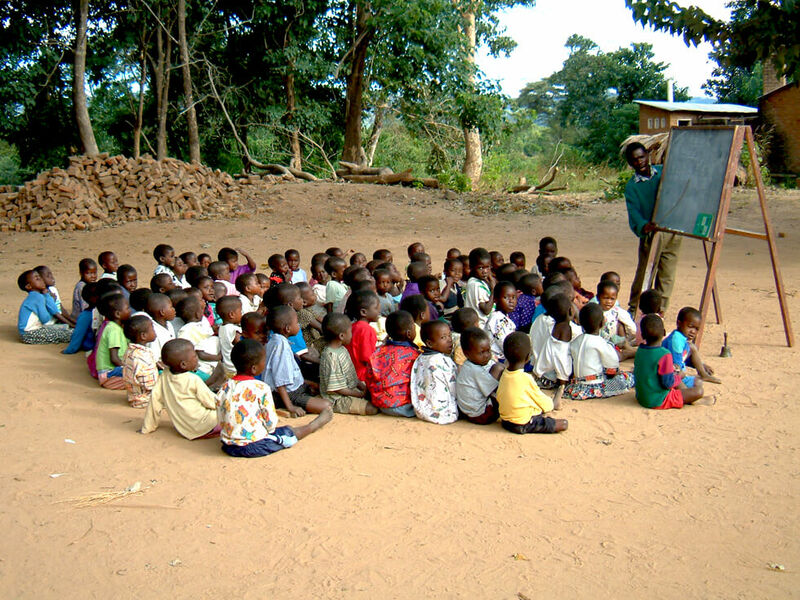 Primary school education in Malawi is provided by the government, and is free to all students in Malawi. Free primary school education was introduced to Malawi in 1994, and in the first year after the policy change, primary school enrolment in Malawi tripled from 1.6 million students, to over 3 million students. However, while primary school enrolment increased, there was a national shortage of classrooms and qualified teachers to deal with the huge increase in students. Although more students now have access to education in Malawi, the quality of education has decreased. Today, most primary schools in Malawi are under-resourced, under-staffed, and under-funded, creating extremely challenging teaching and learning conditions for teachers and students alike. Most primary schools in Malawi are very basic, lacking the most fundamental resources, including textbooks and basic teaching materials. 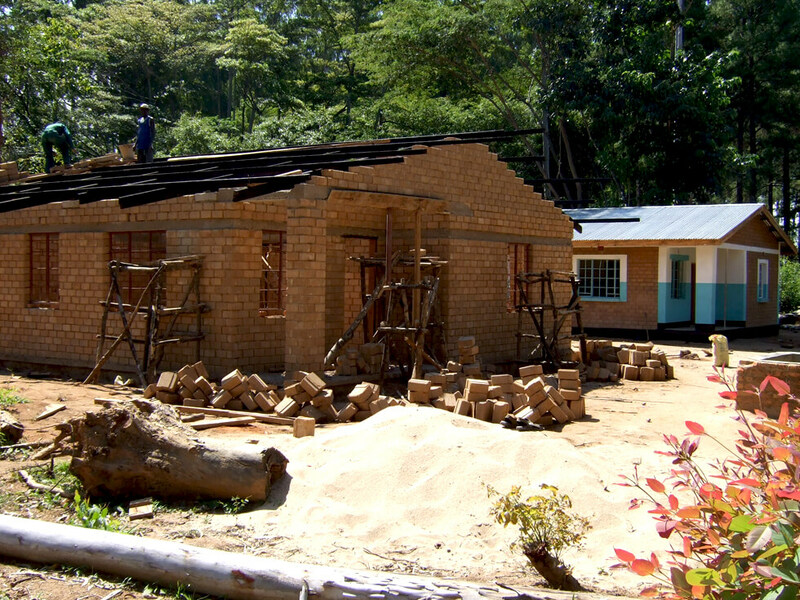 Although many primary schools have brick classroom blocks, many students learn outside in temporary structures, making teaching impossible during the rainy season. Often three students have to share one desk, if they are lucky enough to have desks at all. It is extremely unusual for primary schools to have access to electricity. 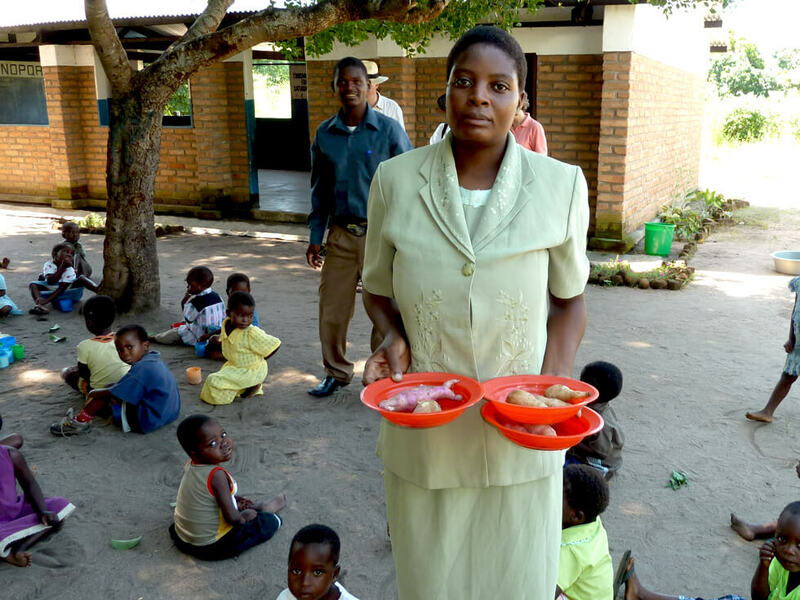 Although the government of Malawi provides government-paid teachers, there are rarely enough teachers for each primary school, and often not even enough teachers for each school year class. In the Nkhata Bay District of Malawi, the average student to teacher ratio for primary schools is 96:1, when the government of Malawi recommends 60:1 (and even this is very high!). The shortage of teachers in Malawi is due to two main reasons. Firstly, there are not enough trained teachers who have completed all their necessary qualifications to go around, and, secondly, primary schools in Malawi must provide teachers’ houses to attract good teachers to their school. Teachers’ houses can be very expensive to build but, without them, it is impossible to attract new teachers to the area. (There are just 536 teachers’ houses for 1,500 teachers in the Nkhata Bay District between both primary and secondary school). Although primary education in Malawi is free, students are required to purchase their own school uniform, pens, and notebooks, which many families find difficult. Most children own only one school uniform and in our local schools, Wednesday is a non-uniform day to enable parents to wash (and repair) the uniform. Rates for drop-outs are high, and many children repeat one or more school years, often several times, if they have had to take significant time out of school and have fallen behind. It is very common for children in Malawi to come in and out of school depending on their family situation, employment responsibilities, pregnancy and marriage at a young age, sickness, and more. By the time students leave primary school, many of them are far older than primary age, having repeated several years, and many lose interest and drop out all together. The desired student-teacher ratio is 60:1 with many classes being larger than this and the classroom congestion leads to lower learning achievements. For most people in Malawi, primary education is the highest level of education they will achieve. As a result, primary education is an essential aspect of community life in Malawi, and is critical to the development of Malawi as a whole. Many of the basic skills and foundational knowledge required for life must be learned in these formative years. Therefore, it is critical to Malawi’s development to support primary education. RIPPLE Africa supports six local primary schools in Malawi, including paying for teachers’ salaries, building new classroom blocks, providing additional books, desks, resources, and materials, and our overseas volunteers who help as teaching assistants in the classroom. To learn more about how RIPPLE Africa is helping to improve primary education in Malawi, Africa, please read the Primary School Education page. The percentage of the population aged 25+ years that have some secondary education is 15.93%. This is among the worst education statistics of sub-Saharan Africa. In addition, Malawi’s population is young – nearly 48% of the population is under 14 years of age which places enormous pressure on social services, and particularly on the education services. Secondary school education in Malawi is provided by the government as well as privately, but is not free to students who must pay school fees. Secondary school fees vary greatly, but can range from as low as £20 per year at local community day secondary schools, to £700 per year or even higher for private secondary boarding schools. Fees, even at the lower amount, pose a huge burden to families in Malawi who struggle to raise enough money to send their children to secondary school at these rates. Secondary schools in Malawi are run in four years (referred to as Form 1 to Form 4), and split into three terms which run generally from September to December, January to April, and April to July. Students have to pass their Malawi Secondary Certificate of Education (MSCE) in Form 4 in order to graduate from Secondary School. 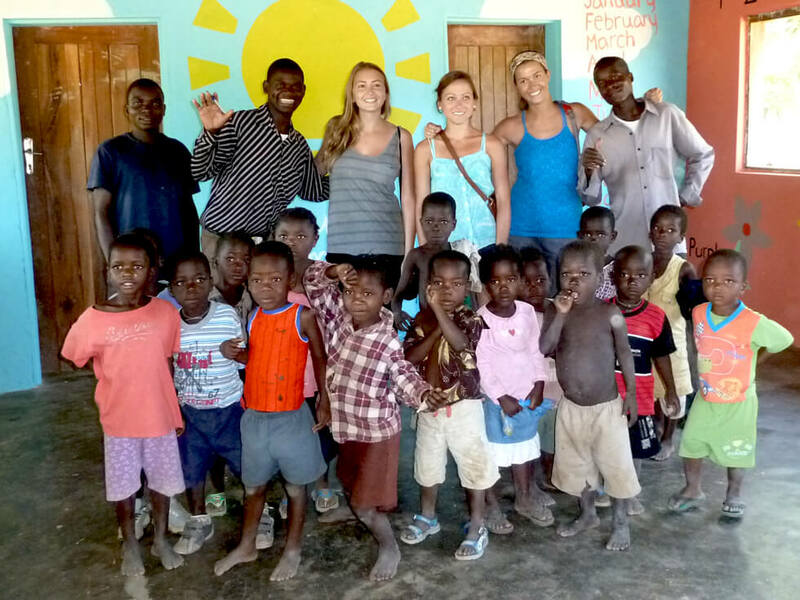 Students study English, maths, agriculture, physics, biology, geography, history, bible knowledge, social studies, and ChiChewa. Students can choose to be tested on any combination of these subjects, and can drop their lower scores and keep their best six. However, they are required to pass English and maths in order to graduate. The MSCE is often considered an adequate credential for most jobs, as very few students in Malawi will proceed from secondary school on to university. The official secondary school age group is defined as 14-17. However, ages vary drastically as many children don’t leave primary school until they are much older, and many drop in and out of secondary school according to their ability to pay their school fees. Although many secondary schools are better resourced than their primary school counterparts, secondary school education in Malawi still varies greatly and is extremely under-resourced. Secondary school students in Malawi still struggle with poor student to teacher ratios, access to books and learning materials, adequate classroom facilities, and adequately trained teachers. The quality of secondary education is low and retention and completion levels in secondary education are a challenge. Untrained secondary school teachers make up 42.5% of the total number of teachers at the secondary school level and the numbers of untrained teachers at the CDSSs is significantly higher than at Conventional Schools (Government Day or Boarding Schools), given that the latters can provide superior conditions for teachers than the CDSSs. There are also additional challenges to education in Malawi which are unique to secondary school. In addition to prohibitive school fees, a lack of secondary schools in total means that many students in Malawi have to walk great distances just to attend school each day, which obviously has a huge impact on attendance as well as significantly cutting into study time. In the entire Nkhata Bay District, there are just 37 secondary schools which serve just 5,514 pupils, compared to 184 primary schools which serve 75,368 pupils. Many secondary school subjects, such as physics and biology, also require special facilities such as a laboratory for students to study and take a practical exam for their MSCE. Out of the 37 secondary schools in Nkhata Bay, only nine have laboratories, of which only four are listed as “conventional” and only two are test centres for the entire district. Most schools cannot even attempt to teach physical science, yet students wishing to study the subject will still be tested on the topic, for which they have never been properly taught. 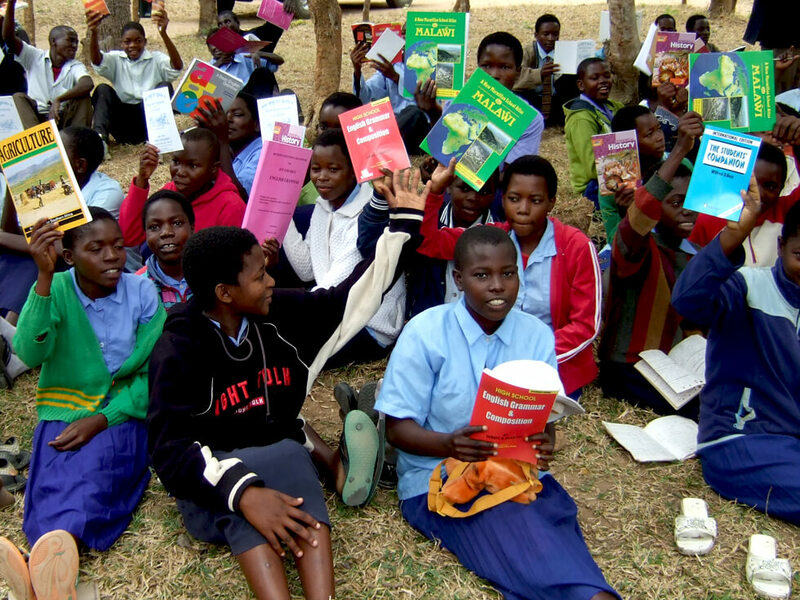 Only 19 of the 37 secondary schools in the district have libraries. Although secondary school education remains a basic public service in many countries across the world, for most people in Malawi, the chance to attend secondary school is something very special, and millions of children in Malawi will never get the chance to experience secondary education at all. For those who do attend, inadequate teachers and a lack of proper facilities will still prove a challenge to their education. By the time the few students who will attend secondary school get to the end of their schooling, only the smallest fraction will ever go on to university. Secondary school education in Malawi remains something of great importance to most Malawians, and a goal which most young people strive towards. 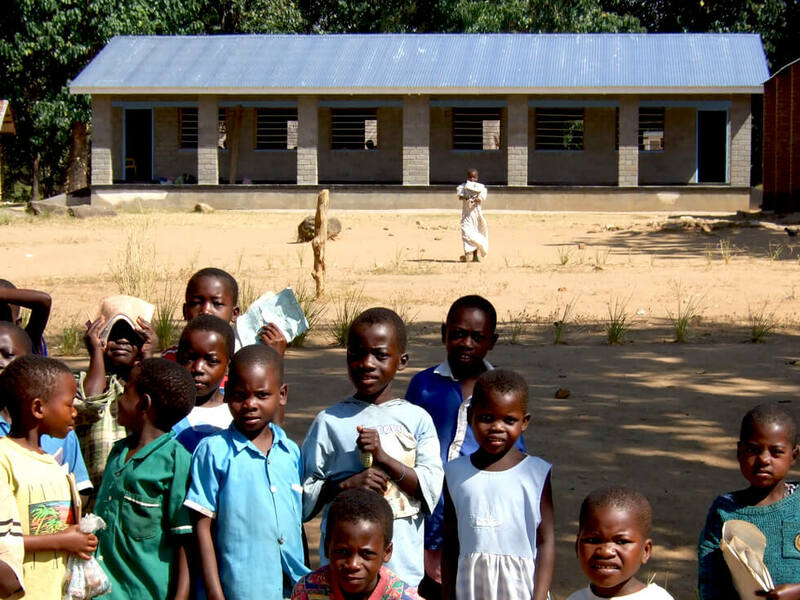 RIPPLE Africa is helping to improve secondary school education in Malawi by supporting Kapanda Community Day Secondary School, which the charity has built. To learn more about how RIPPLE Africa is helping to improve secondary education in Malawi, Africa, please read the Secondary School Education page. With all the challenges facing children in Malawi, only the very few will ever make it through to tertiary education. All higher education in Malawi is ultimately controlled by the University of Malawi, which was founded in 1964. The university is located in Zomba, Malawi’s former capital, which is now a university town. The Vice Chancellor and Registrar run the university. The President is the Chancellor, which is purely a ceremonial office. There are four constituent colleges, each of which has its own Registrar. Bunda College specialises in agriculture; Chancellor College offers arts, education, sciences, social sciences, law, and public administration; Kamuzu College offers nursing, community health, mental health, maternal and child health care, and medical surgical nursing courses; and the Polytechnic College offers technical courses. The University also operates a hotel training college and a marine training school. The University is governed by a council, whose members are appointed by the government. The faculty Senate insures that academic matters are governed by professors. The university awards both degrees and diplomas, as well as certificates for short courses. Access to higher education is based on passing the Malawi Secondary Certificate of Education (MSCE). A student must earn at least five credits, including English. This exam may be taken after completing eight years of primary and four years of secondary education. Students wishing to be accepted by the university must achieve excellent scores in these exams. The first, or Bachelor’s, degree is normally earned after four years of concentrated study in residence. It takes five years to complete courses in law, education, agriculture, and commerce, and six years to finish the full engineering programme. Honours degrees are awarded in some subjects. A professional qualification is awarded as a diploma after three years of study. A second stage, or Master’s degree, requires two years of full time study to complete. A third stage, or Doctorate degree, is awarded after finishing three to five years of study beyond the Master’s degree, a successful defence of a thesis or dissertation, and at least six months in residence at the university. As of July 2018, less than 1% of Malawi’s population was enrolled in universities. Approximately 72% of all college students were pursuing degrees in education, 10.9% were taking degrees in the social sciences, 12.2% were pursuing science degrees, 3.9% were taking degrees in medicine, and 0.4% were pursuing degrees in the humanities. Given Malawi’s growing need for high-powered labour, Malawi will be dependent on expatriate skilled labour far into the foreseeable future, unless the university system expands. Please note that all information presented on this page is from RIPPLE Africa’s own local knowledge on the ground, and from the Nkhata Bay District Socio-Economic Profile (2010-2012) unless otherwise stated.